A colder room helps you to sleep faster. During cold weather, the room you sleep should be 60 to 67 degrees Fahrenheit to have a good sleep. If the temperature goes above or too low, it may disrupt your sleep. A colder room helps you to sleep faster because when your body temperature drops, that is when sleep begins. 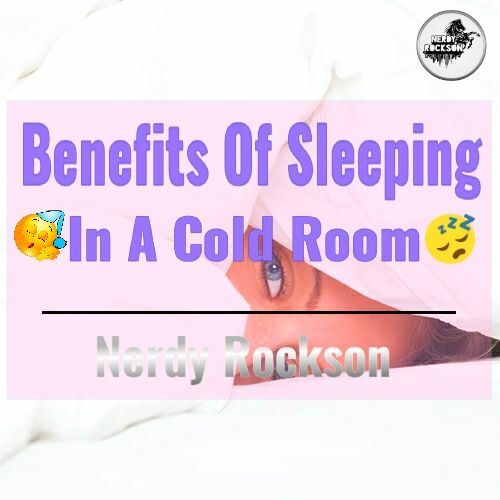 So below are some awesome benefits of having a cold room. Researchers claim that when the body temperature drops and the growth hormone is produced, the stress hormone called cortisol will be reduce by healthy sleep patterns. Lack of good sleep makes you wake up with high level of stress hormone which can increase your anxiety. Your body stop producing melatonin when you sleep in a room warmer than 70 degrees. Melatonin is one of the best anti-aging hormones in the body. The body produces melatonin and start a mild cool down in the body when the temperature drops once asleep. Research shows that, certain forms of insomnia erupt by poor body temperature regulation. If you are finding it difficult to fall asleep, a colder room could cool down your body to reach a level of deeper and restful sleep. Sleeping in a 66 degrees room can protect you from certain metabolic diseases like diabetes. The body burn more calories when awake and also store up few brown fat and good fat in the long run, it helps to lower the risk of metabolic disease.